Vintage Muscle Men: Back in the Barracks . . . in underwear this time. Back in the Barracks . . . in underwear this time. Our G-rated posts for Sunday continue with the army barracks theme, only it's Undies Sundays this time. 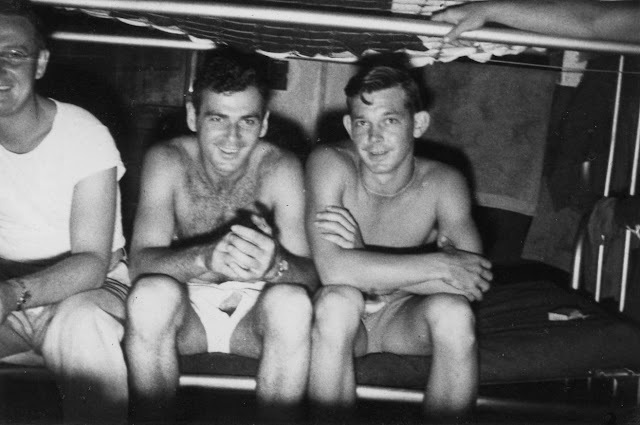 The fellow at center of this photo must have been popular because I have another picture of him on a bunk in his skivvies with two different guys on either side.